Innovation and entrepreneurship have become major buzzwords and are constantly proposed as policies. STEM innovations could provide innovative ways to irrigate farms. South Africa or Africa at large should seek to be the place that gives us the Steve Jobs of agriculture, to tackle major challenges the continent faces in terms of economic growth, food security and the present threat of climate change. This is particularly important in the sensitive debate over land expropriation in South Africa and our continued struggle with the three burdens of poverty, inequality and unemployment. It is equally critical in the global threat of climate change, which will affect developing nations the most, threatening food and economic security, impacting the futures of our youth. The water crisis that hit Western Cape and Cape Town is only a taste of things to come, and the rest of the country and region should be preparing for what’s ahead. In the agriculture and food security space, we are also faced with ageing and retiring farmers who will leave with their decades of knowledge in agriculture. It is going to be critical for us to bridge this divide between the old and young in agriculture, retain decades worth of skills and know-how, and catalyse future-oriented innovation to be carried forward by the younger generations. I think this should be done by making agriculture a key part of the zeitgeist of conversations about entrepreneurship. Instead of simply wanting to create a new Mark Zuckerberg or Steve Jobs in the tech fields, South Africa and Africa at large need revolutionaries in agriculture such as the likes of Norman Ernest Borlaug, “the father of the Green revolution”. We need to push the potential innovators and entrepreneurs to see this field of agriculture not merely as an old, first industrial-age sector, but an industry critical to our present and future. This will require the support of government, academia, business and media to bring forth the exuberance for entrepreneurship in other sectors, especially in the urban environment. There already is a lot of innovation in the agriculture sector, and big commercial farms are already tapped into the high-tech world of geo-mapping and other innovations. However, there are thousands of smaller, mostly black farmers who have been left out of these 21st-century tech revolutions. Commercial farms themselves, which employ some young people could be places for apprenticeships and learnerships for upskilling workers. The agriculture sector needs a further boost in science, technology, engineering and mathematics (STEM), which will not only contribute to the production phase of the value chain, where farmers need to have climate-resilient crops and larger yields, but can be executed along the value chain – including post-harvest stages such as storage and drying (many smallholder farmers don’t have storage and drying facilities), to the agro-processing sector – which will answer the cry for industrialisation in the region. 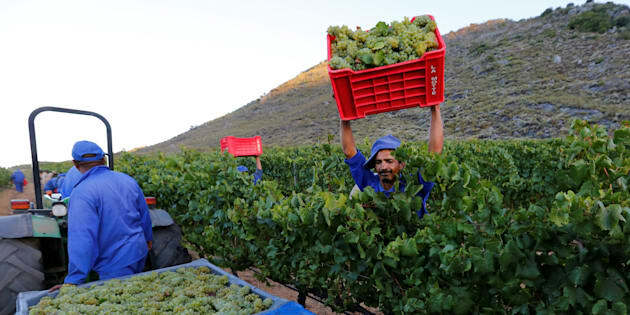 South Africa’s departments of trade and industry, science and technology, and economic development will be key in this regard by supporting the channelling of young people into the agricultural sector with robust promotion programmes targeting school leavers, and even those who may not have managed to finish their secondary school studies. Commercial farms themselves that employ some young people could be places for apprenticeships and learnerships for upskilling workers. Farming can be made attractive by highlighting how it is an entrepreneurial opportunity like any other. It requires the drive and desire that people need to climb corporate ladders in South Africa, and the same resolve needed by entrepreneurs who are out on their own outside the confines of a secure company salary. The STEM and innovative aspects that can be applied in the sector can also provide a platform for skilling youth while providing needed human resources to South African farmers. Bringing in innovations via STEM will have a focus on the challenges that many farmers in the country are facing – including the impending threat of climate change. Already production in Africa is far below global levels, as a result of a combination of factors including lack of knowledge, a lack of access to improved seeds, low utilisation of fertiliser, and a heavy reliance on traditional, informal farming methods. Many smallholder farmers are still heavily reliant on rain-fed irrigation. There are many scientific innovations in improved seeds and knowledge on planting which could have an immense impact on increasing yields for smallholder farmers. Bringing the innovations that could be provided by the STEM field could mean finding innovative ways of irrigation for farms, such as the moisture capture utilised by some farmers in Chile, who have come up with a fog catching technique for drinking water and agriculture. Scientists from the Massachusetts Institute of Technology (MIT) are also working on technology for capturing moisture in dry and arid regions of the world. South Africa, as a water-scarce country, should be investing heavily in similar research and development, and our agriculture and food sector will be a major beneficiary. Agriculture and food production will remain important industries, no matter what technological advances we make, as food security is a core human need. In the 21st century, with tech idols like Mark Zuckerberg, Elon Musk and Steve Jobs, innovation and entrepreneurship have become major buzzwords and are constantly proposed as policies to solve the problems of developed and developing nations, particularly youth unemployment. Of course, these views can tend to be overly simplistic in ignoring the many structural challenges that stop many people from entering entrepreneurship. STEM fuelled agri-preneurship will not be different, but it deserves as much buzz as any the supposedly sexier urban-based sectors, even at the minimum capturing a few bright minds who will succeed and, in their success, have an immense impact on the country and the continent. Zuckerberg, Musk and Jobs are all individuals who started out with small teams, but their impact and influence have touched billions. We need that kind innovation and visionary leadership in one of the most important sectors in the world. Agriculture and food production will remain important industries, no matter what technological advances we make, as food security is a core human need. The next Borlaug should come from the African continent.